Throughout Hispanic Heritage Month, we are ecstatic to highlight local visionaries, playwrights, leaders, individuals with the desire to change circumstance and elevate their community. This week we highlight Lieutenant Governor of Illinois Evelyn Sanguinetti, who began her term in office in January 2015, Illinois Department of Labor Director Hugo Chaviano, and Chef and Health Activist Leticia Moreinos Schwartz. Hailing from Miami, Evelyn Sanguinetti is the epitome of the American Dream. A child of immigrant parents, her father from Ecuador and her mother from Cuba, Sanguinetti has been overcoming odds from a very young age. Coming from humble beginnings, to frequently moving so that her family can afford an apartment to later on battling multiple sclerosis, Sanguinetti’s tenacity always pulled her through. Wanting a better life for herself, Sanguinetti received her bachelor’s degree in piano performance from Florida International University and soon after moved to Chicago to attend The John Marshall Law School. 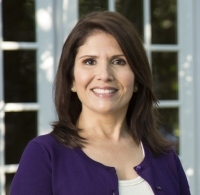 After graduating from law school, Sanguinetti served as an Assistant Attorney General in the Illinois Attorney General’s Office under Jim Ryan. 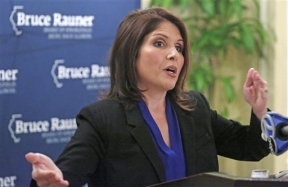 In January 2015, Sanguinetti joined Governor Bruce Rauner’s administration. On her down time, Sanguinetti is involved in Franklin Middle School, Lowell Elementary School and Jefferson Preschool Parent-Teacher Associations and also serves on the Wheaton Chamber of Commerce and the DuPage County Bar Association. 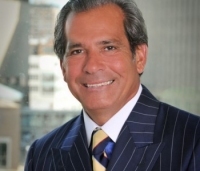 Hugo Chaviano has tirelessly worked to become a prime leader among Hispanic lawyers across the United States. Born in Cuba and immigrated to the states at the age of 13 years-old, Chaviano was elected by Governor Bruce Rauner to serve as Director of the Illinois Department of Labor, a position Chaviano called humbling and exciting. In his 35 year long career, Chaviano has garnered numerous accolades for his work. Prior to serving on Rauner’s administration, Chaviano served as partner for Sanchez Daniels & Hoffman, LLP, where he worked on litigation cases. Chaviano graduated from Rutgers University with a bachelor’s degree in history and he earned his law degree from Northwestern University. 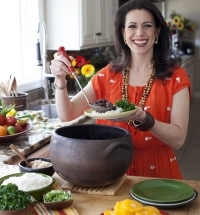 Advocating healthy lifestyle is a true passion for Brazilian Chef and Health Activist Leticia Moreinos Schwartz, who was born and raised in Rio de Janeiro. As chef, teacher, food stylist, and cookbook author, Moreinos discovered a lover for cooking at a very young age. However, it wasn’t until 1997 that Moreinos pursued a career in the culinary history. Soon after graduating from New York’s French Culinary Institute with a dual-degree in Culinary and Pastry Arts, Moreinos launched “Chef Leticia,” a culinary company offering cooking classes and soon after published her first cookbook, titled The Brazilian Kitchen: 100 Classic and Contemporary Recipes for the Home Cook. Moreinos has made it her mission to teach families about the importance of eating healthy and reducing health illnesses in Latino communities across the country.